Essentials Spa invites you to experience one of our result-driven facials. We being with a consultation to determine which treatment(s) is right for you and your skin. As with all skin care programs, it is best to continue with a series of treatments for optimum results. 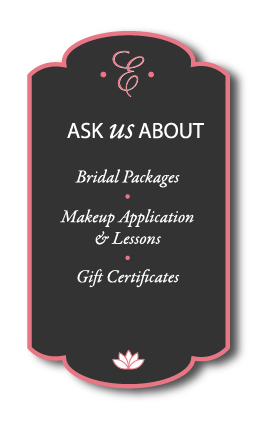 We would be happy to offer our clients discount pricing for multiple treatments. Call to reserve your facial consultation and begin your path to more beautiful, healthy and youthful skin. Relying on constant research to stay at the forefront of our industry, we are pleased to offer our clients the highest performing and innovative clinical skin treatment products by Laboratoire Dr. Renaud. For almost 70 years, Dr. Renaud has been working to deliver clients the finest certified organic products. These products are perfect for all skin types including those with sensitive skin. All Dr Renaud products are made using all natural marine and plant extracts and they are free of artificial colours, perfumes, parabens and mineral oil. A professional treatment consisting of three phases especially created for the care of the eye contour area. Beautifying Eye Care helps reduce and prevent signs of coetaneous ageing (fine lines, wrinkles, dark circles and puffiness). Owing to its original formulation, a true reservoir of carefully selected bio- compatible active ingredients reinforces and protects the extremely delicate skin around the eye contour area. This relaxing facial nourishes, tones and refines the texture of the skin. Includes a gentle enzymatic exfoliation of the skin, extractions, concentrated treatment, massage of the face, neck and décolleté, followed by a specific mask. A truly spectacular breakthrough in coetaneous hydration, it releases its exceptional properties right at the heart of cells where optimal hydration occurs, by re-energizing the natural hydrating mechanisms weakened by age, environmental and climate stresses. Created for men and women with vaso-reactive skin, this treatment significantly reduces redness in intensity and diminishes the number and size of visible micro-vessels. Rosa-C3 instantly soothes irritation, sensations of warmth and tightness providing immediate comfort and relief to the skin, preventing and controlling manifestations of Rosacea. Radiance is a new generation of skin lightening which combines the positive effects of various plant extracts with Vitamin C, while avoiding the negative effects of traditional methods. It is especially designed to obtain a real de-pigmentation and also for the general purpose of brightening the complexion and giving it luminosity. Pure is a revolutionary cosmetic alternative to injections. Owing to the association of Kronoxyl with complementary active ingredients, Pure is a complete anti-aging professional treatment that reduces the signs of fine lines, wrinkles and expression lines. The ExCellience ThermoSculpt Lifting and Remodeling treatment is inspired by dermo-aesthetic rejuvenating techniques. Owing to the presence of the exclusive ThermoSculpt Complex, this treatment remodels the 3D structure of the skin by acting on 3 key elements of firmness. By gradually tightening the skin, it aims at toning, re-densifying and remodeling the skin deep down to strengthen, tighten and fight against gravity to resculpt facial contours. This skin regenerating professional treatment leaves the skin supple, soft and younger-looking. A true “second skin”, the Ultra-Moisturizing Collagen Veil with hyaluronic Acid is both a vector of active principles and an active principle. With the use of Alpha-Hydroxy Acids, this treatment is useful in refining thick textured skin and reducing the appearance of fine lines and wrinkles. This well-balanced AHA favors cellular renewal thus reviving and brightening dull complexions with maximum efficacy and complete safety. This 45 minute clinical treatment is the newest alternative in targeting oily, comedonal and acneic skin. These highly effective ingredients issued of the latest technological advancement are designed to eliminate acne lesions, reduce inflammation and mattify the complexion without compromising the integrity of the skin. A facial for the flip side. 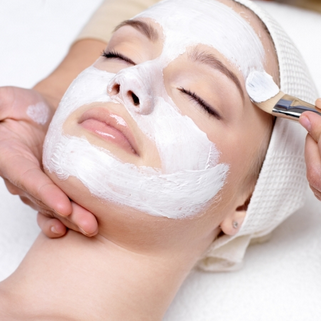 This treatment includes a deep pore cleanse, steaming, extractions and finishing with a purifying and drying mask. Great for breakouts on back. If you have 30 minutes, we have a facial for you.